Marble flooring can make your home look elegant, sleek and sophisticated. However, it can be quite expensive. Marble is basically a type of stone, combined with various other materials to create beautiful, decorative, and durable flooring. Each marble slab of stone has its own unique vein patterns and streaks of color. And, depending on the type of marble it’s classified as, the tones can vary from stone to stone. Marble flooring is a good idea if you’re looking for something long-lasting and low-maintenance. For high-traffic areas however, it would be best to use honed marble or sand marble to prevent accidents and/or injury due to wet surfaces. It is best used for large and classically beautiful residential homes. ⋄ Dolomite – this classification is for marble that contains more than 40% magnesium carbonate. ⋄ Magnesium – for this classification, the marble will contain between 5% and 40% magnesium. ⋄ Calcite – this marble contains less than 5% magnesium carbonate. ⋄ Breccia Marble: This tends to be a darker toned marble. Deep browns and reds are common tones and this type of marble is popularly used for flooring and countertops. ⋄ Calacatta: This marble has bolder tones and more noticeable lines. It is also warmer in hue and can bring a hint of melodrama to any room. ⋄ Carrara Marble: “Classic” marble that you see in statues or fountains in Greece and Rome. A pure white marble that can sustain a pristine look, depending on the stone. It is also one of the lightest marbles available for flooring. ⋄ Limestone: A “naturally occurring” stone, limestone is often a tan or beige tone. Typically used for bathrooms, its’ porous and soft nature makes it susceptible to damage to heavy foot traffic. ⋄ Sand Marble – This type of marble flooring is a combination of sand and marble, which creates a “sandy” texture that makes it perfect for rooms with a rustic feel to it. The surface offers some friction which can make it good for the bathroom, preventing slippage when wet. ⋄ Polished Marble – If you want to create a “grand impression” in your home, polished marble would be your best bet. It is shiny and very easy to polish, creating a majestic feeling in the room. You’ll find polished marble in the entryways of most upscale hotels, museums, and other high-end buildings. However, one major drawback is that this type of polishing can be very slippery when wet. ⋄ Honed Marble – This type of finishing is a hybrid between polished marble and sand marble. Honed Marble also provides a shiny and elegant look and it minimizes slippage when wet. 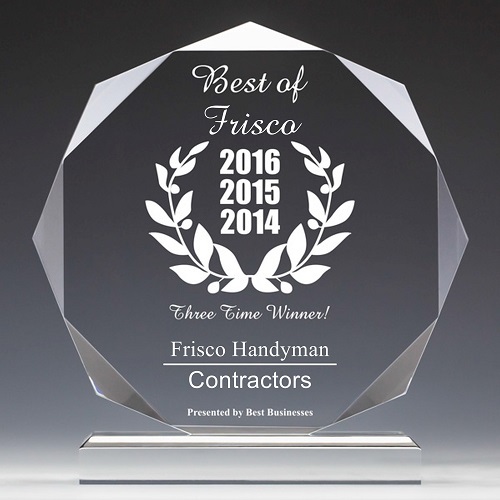 Why Choose Marble Flooring in Frisco TX? Marble flooring is popular not only due to its durability but because of the wide array of possible designs. The vein patterns and different hues are of a classic style that should remain beautiful for many years. Marble can be found in many long-standing structures that remain popular to this day. This type of flooring is capable of resisting multiple weather changes and, with the right maintenance, it can last for several generations in high-traffic areas – the exception being limestone as mentioned above. Marble can have negative chemical reaction to some liquid including orange juice and cola. Hence, a spill on marble must be cleaned quickly and thoroughly. Otherwise, it might cause a long-lasting stain. To maintain its beauty, marble must also be sealed before installation and repeatedly maintained every 12 months.